Role Playing Games have a time-honored tradition of turning encounters into an abstract point system, and when you get enough of those points, your character becomes more powerful in a sense. Most games use an Experience Point system along with Levels--which harken back to the days of Gary Gygax’s Dungeon and Dragons, and miniature wargaming if you look even further back--but there are cases of alternate advancement techniques, such as getting more powerful gear rather than new levels. At the end of the day, however, it is this advancement of your characters which separates RPGs from other games, such as platformers. Stuck on a boss in Final Fantasy? Go grind a few more levels. Can’t eke out enough DPS to down that boss in World of Warcraft? Run a few more dungeons and get better gear. Can’t beat World 8-2 in Super Mario Bros.? Well, you’re stuck there unless you just plain get better at the game. You can’t just grind goombas until you can make the timing on some of those jumps. Most people get more skilled as they spend more time with a subject, hence why World 8-2 is so much more difficult than World 1-1: by the time you get there, you should have the skillset to beat it. You put in the time and practice to get there, right? But RPGs are a different beast. Time is still a proxy for skill, but the skill of your character, not you as a player. Now, players can substitute skill for time in some cases--by making better tactical decisions in a game like Final Fantasy Tactics or Fire Emblem; or by having a firmer grasp of the combat system, like in the Tales series; or just knowing your class better, like in World of Warcraft, RIFT, or any number of other MMOs--but in the end you’re still limited by the numbers on your character sheet. Monsters that are too difficult numerically become impossible to hit, or one shot characters. To me, a combination of both skill and numbers makes a game super exciting. It’s probably why I enjoy WoW so much at the raiding level. There’s room to fudge skill with more gear, but if you’re actually good at what you do, you can do more with a lot less. Heck, Gevlon’s Ungeared Blue project back in Wrath of the Lich King proved that pretty well. But the best part about RPGs for me? That sense of progression: the Ding! Leveling, among other advancement schemes, is at its most basic a reward for time. Play a little longer, grind a few mobs, finish a few quests, and ding! You get a level, and along with it things like new abilities, better stats, talent/skill points, or any number of other things. Developers of MMOs know intimately that if you want to keep players playing, you need to give them rewards. As per my previous post on the subject, things like achievements, gear, quests, new areas, and so on make great rewards to keep the player engaged and happy, but levels should give you something specific to your character. Of course, what you get has to be commensurate with the effort you put in. If it takes four hours to get a level, you’d expect that such a level would give you a fairly large boost in power. Instead, if all you got was a piddly few hit points, you’d likely be upset (unless those piddly few hit points are actually a relatively massive boost in power in said game). On the other hand, if you were to get levels every 10 minutes, and each level bombarded you with new abilities and crazy boosts in relative power, you’d likely be completely overwhelmed. There’s a definite balance in terms of how much power you’re handing out, and in what intervals those handouts are occurring. In a game like D&D 4th Edition, levels come slowly. I think we’re at about a level every 2 months right now in the campaign I’m running (granted, we only play 1 - 2 times a month), but each level gained numbers go up, and new, powerful abilities are granted. Some levels are better than others, so the curve is definitely not even, though the rate at which players increase in level is static, and each level is significant. About every 10 encounters or so, the party gets a level. Compare that to World of Warcraft today, where levels flow like water. The first 10 levels can be done in just over an hour, and the first 30 levels take less than a day. But the time to each level increases every milestone. Going from 89 to 90 can take as much time as it took to get from 1 to 30. But the power you gain from each level isn’t constant. Sure, you get a measly increase in base stats (but compared to the stats you get from equipment, those increases might as well not exist), but many levels that’s all you get. Occasionally you’ll get a new ability, and on 6 occasions you get a talent point. It’s a criticism of the new talent system compared to the old, and despite the fact that I enjoy the new talents at end game, they’re really lame while leveling. 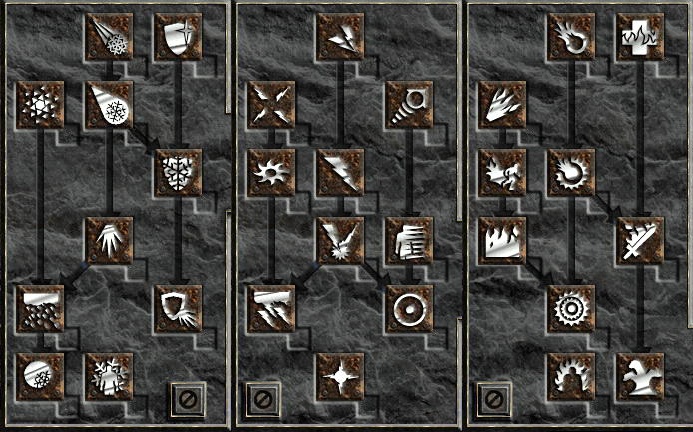 Now, the old WoW talent system was based on talent trees of old, like in Diablo II. Where most JRPGs in the 90s ended up just handing you abilities at set levels, talent trees allowed you to choose how you progressed. Preferred fire abilities? Stick to the fire tree. Want to be a jack-of-all-trades? It’s possible! Granted, in WoW the talent trees left nothing to the imagination. They were too small to really allow you much freedom, making it too easy to theorycraft an optimal solution, unlike RIFT’s immense talent trees. 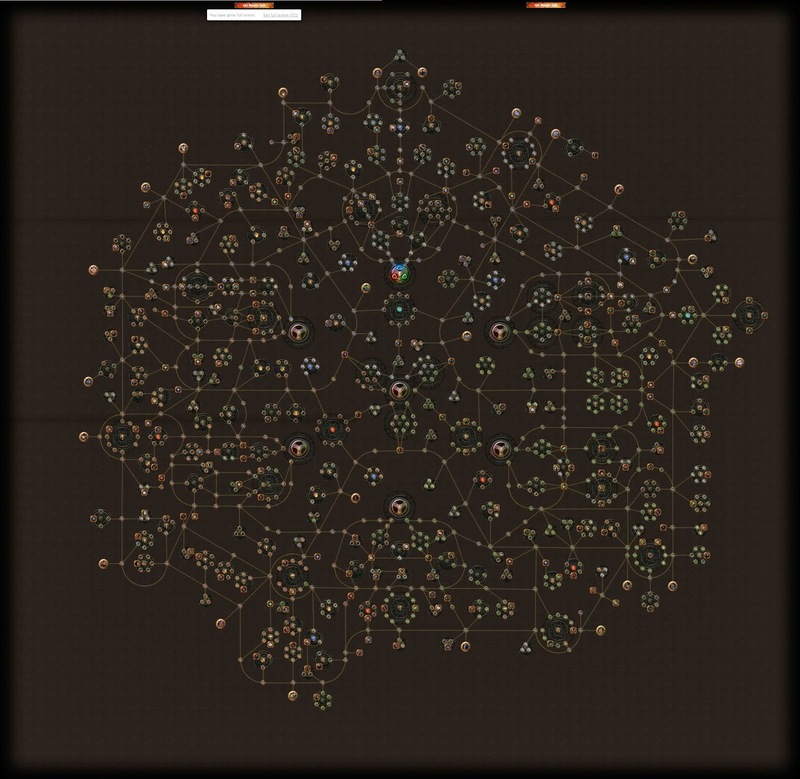 Though I don’t think RIFT’s talent trees are un-theorycraftable, it’s just a more complicated problem. Like the difference between solving Tic-Tac-Toe computationally, and Checkers. They’re both solved, just one takes a lot more computing power to do it. It’s also easier to see when someone makes a stupid mistake in Tic-Tac-Toe. Not only did you get three trees at a time to put points into in RIFT, you chose which trees to use out of a possible 8 for each "class". The sheer number of combinations are insane. And fun! 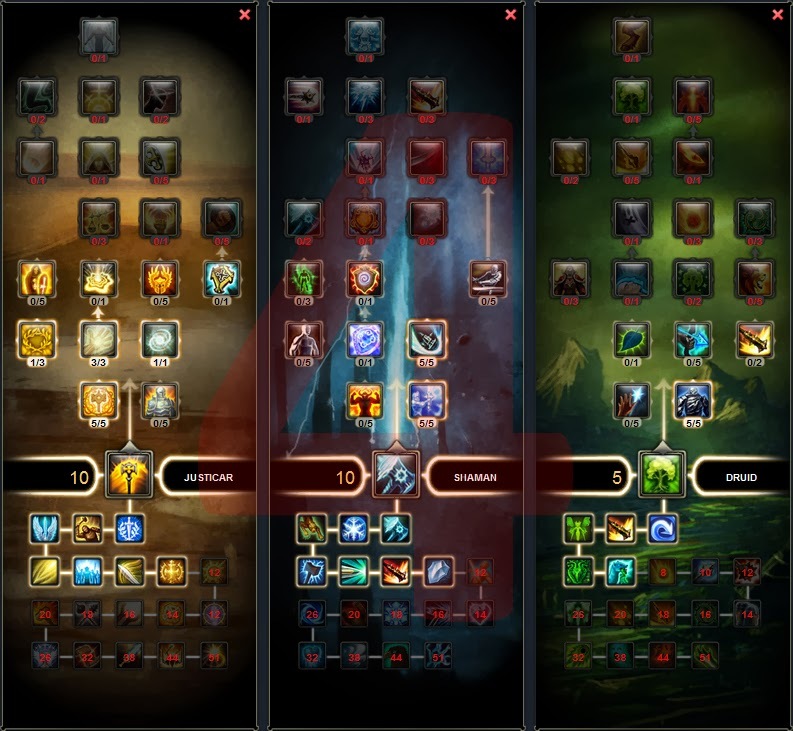 An interesting expansion on the talent tree idea is a talent grid. Final Fantasy X is one of the earlier games to do this, using the Sphere Grid. You spent your levels moving your token around the grid, activating abilities and stat increases on the way. I rather enjoyed the Sphere Grid because it gave me a definite link to how my character was increasing. It’s one thing to see on-screen that I just gained Ability Blah and 5 Strength, it’s another to actually activate it on the Sphere Grid and understand where that value is coming from. And then there’s the branching. 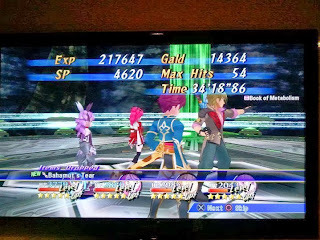 FFX didn’t have a lot of it, and really it was more about what secondary and tertiary class branches you’d go down once you had enough points. But Path of Exile is another story entirely. Path of Exile is a Diablo clone, Free-To-Play, and basically combines the FFX Sphere Grid with FFVII Materia in Diablo II/WoW-style sockets, giving you effectively two methods of character advancement/customization. Each level gets you a point, and you spend those points on the Passive Talent grid. Each class starts at a different location, and the build options and branches are enormous. Of course, anybody can use any ability, as long as you have the attributes to use the gems that you have socketed. 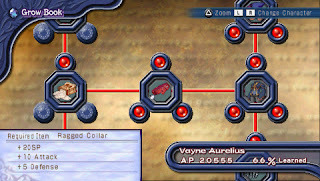 Like Materia in FFVII, you’d put these gems in your equipment, and they gain experience and level up. Your load-out of gems dictates what spells/abilities you have. So you could have a Witch that had a Cleave ability as well as Summon Skeleton, for example. 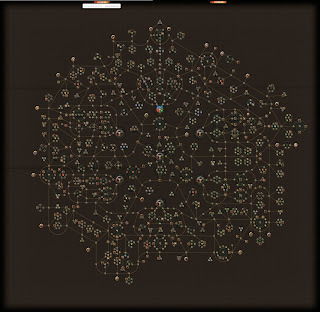 Path of Exile Passive Skill Tree. Like the Sphere Grid on Steroids, except actual powers/attacks don't live in the grid. Some games did away with levels entirely. Mana Khemia, for example, had an experience system, but that alone didn't get you anything. 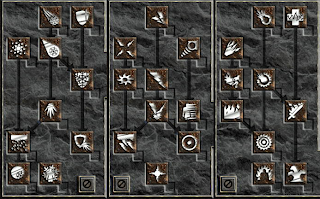 Rather, like FFX and Path of Exile, it had a leveling grid known as the Grow Book, and each node along a path could be unlocked by creating the correct item, which opened it for point spending. Chrono Cross was another game where rather than levels, you’d get major stat boosts when you defeated a boss (preventing you from grinding out levels at all). While getting levels is usually supposed to make you more powerful relative to other monsters, some games put that on its head. Rather than using levels to give you skill points, Skyrim did it the other way around: as you leveled your skills via use, you gained levels. Now, this had the unfortunate side effect of making the game nigh impossible to play if you made the mistake of leveling non-combat skills before combat skills, as enemies got more powerful the higher your overall level. Final Fantasy VIII was another game that goofed that. 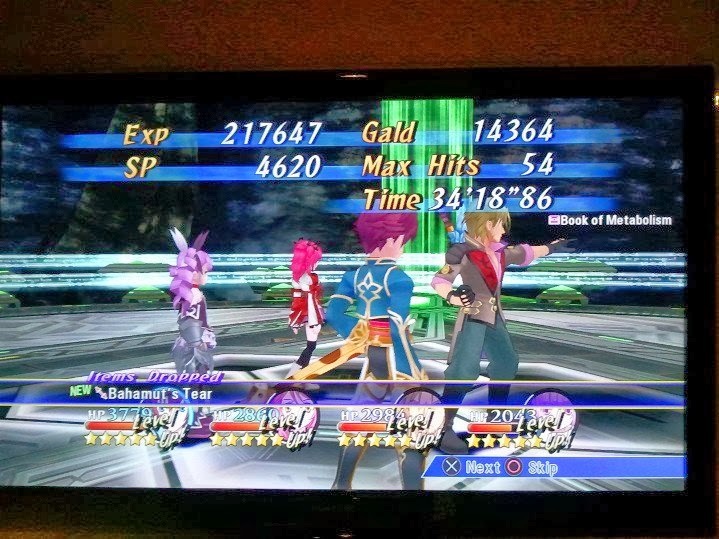 If you spent too much time leveling up early in the game, you wouldn’t have the spells needed to boost your stats sufficiently to defeat the monsters as they leveled with you. Basically, grinding out levels early on made the game harder. 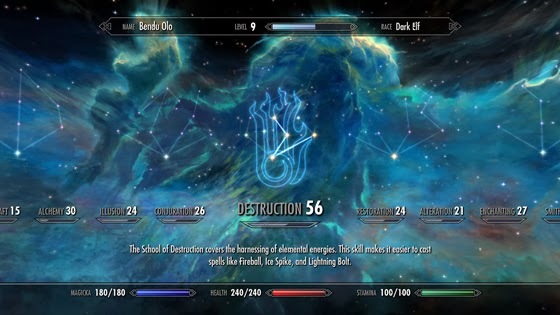 Skyrim also had talent trees, simple ones corresponding with each skill. So your skill levels combined gave your level, and your level gave you points to spend in talent trees. I won’t deny that some of the more elaborate leveling systems are my favourite. Path of Exile hits upon a number of sweet spots in terms of fun and customizability for me personally, but as far as endgame systems go, I actually rather enjoy WoW’s new talent system. But WoW and other MMOs have the problem that they’re really two games rather than one: a leveling game, and an end-game. And what system is good for one of those games isn’t really good for the other, as Blizzard’s experiments have proven. I’ve only touched upon a few rather prominent leveling systems, and there’s plenty other variations on those, and probably some unique ones I’ve missed. I’m excited to see what other advancement systems developers come up with in the future, assuming they can fulfill that zing when you ding. "But WoW and other MMOs have the problem that they’re really two games rather than one: a leveling game, and an end-game. And what system is good for one of those games isn’t really good for the other, as Blizzard’s experiments have proven." Absolutely agreed. On one hand you want something where players feel like they're making choices and gaining power due to these choices as they level. On the flip side, you want ACTUAL choice instead of a calculation and you want people to be able to change their choices at end-game. "If you spent too much time leveling up early in the game, you wouldn’t have the spells needed to boost your stats sufficiently to defeat the monsters as they leveled with you. Basically, grinding out levels early on made the game harder." This is a common issue in games where monsters scale. Even in something like Mass Effect (2/3) -- most characters hit a level where any future levels basically don't add anything important (you already have your best abilities) but enemies continue to get stronger. At that point you'd WANT to stop leveling because you'll get WEAKER relatively speaking per level. "Though I don’t think RIFT’s talent trees are un-theorycraftable, it’s just a more complicated problem. Like the difference between solving Tic-Tac-Toe computationally, and Checkers. They’re both solved, just one takes a lot more computing power to do it. It’s also easier to see when someone makes a stupid mistake in Tic-Tac-Toe." Exactly. And this is the fundamental problem with talent trees in most cases. You get to the point where, for a particular situation, there IS an optimal solution and choosing anything else is stupid. This same thing is WHY classes exist. 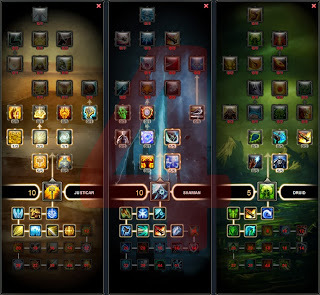 If classes didn't exist then there would be an optimal way to spend your skill points -- picking a "class" forces you into certain archetypes and means the developers don't have to worry about you trying to be a hunter who can also do AoE heals on the group. Back in high school, when I did that homebrew Pen and Paper system, I ended up not having a class system, but allowing people to pick and choose what abilities you wanted (based on a point system). It actually worked really well because there were a lot of choices, but very few points. It was near impossible to be a jack-of-all-trades and you were forced to specialize if you wanted to be useful, which in a group oriented game like a PnP RPG was a desirable trait in a game. But on the other hand, in a PnP game, the DM can tailor the experience to challenge your group, whereas an MMO developer has to solve the "general problem" of pretty much any ability combination, both if people have certain ability combinations, or if folks are missing abilities entirely (see early Cataclysm where a bunch of classes didn't have enough CC options making some dungeons excessively difficult for those classes). [WoW] Just How Much Damage Could a Backdoor in an Addon Do? 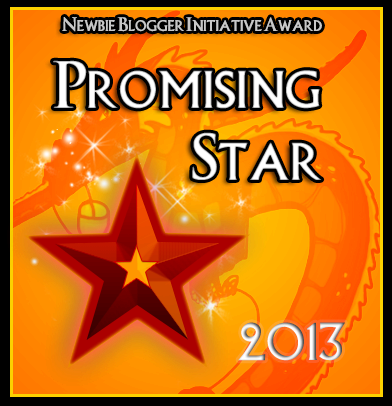 This is awarded to the overall most outstanding Newbie Blogger and is the NBI’s highest honor. Your blog has been acknowledged for its style and content. I am not a lawyer, nor do I play one on TV. Consume advice at your own risk. Powered by Blogger.